CTJ prides itself on being a warm and welcoming synagogue community for interfaith families. We believe that our entire congregation’s spiritual needs are greatly enriched by the full and active inclusion of our interfaith members. Birth – Partake and share blessings and readings from the bimah (pulpit) during a child’s naming ceremony (brit milah or simchat bat). 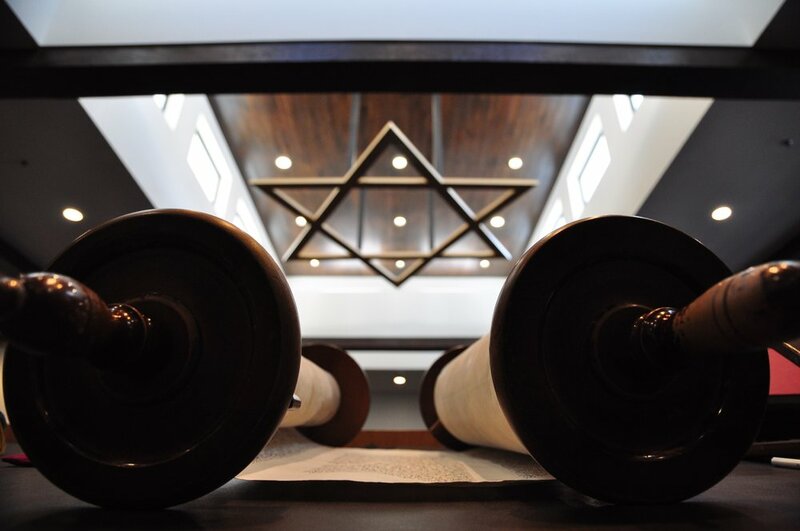 Bar/Bat Mitzvah – Stand with their Jewish spouse and child on the bimah and participate in our services. Family members from other faiths are welcome to be a part of or lead many of our service honors including: opening the ark, passing of the Torah, dressing the Torah, and various English readings. Marriage – We are blessed that Cantor Beth is able and honored to perform weddings for interfaith couples. She looks forward to connecting interfaith families with the beautiful wedding traditions of our faith. While Rabbi Kalev is only allowed to officiate at the marriage of two Jewish individuals according to Conservative practice, he is always available to be a resource in helping create a beautiful and meaningful ceremony for any of our members. Death – Our clergy are always available to help all of our members, regardless of faith, through the difficult process of mourning. We highly encourage our members to use the mourning rituals of Judaism (shivah, kaddish, yahrzeit) to assist them when they lose a family member of any faith. We recognize the unique challenges faced by interfaith families and we stand with “arms wide open” to embrace you and your loved ones in our congregation and family.